Complex Says: American military vehicles not doing it for you? 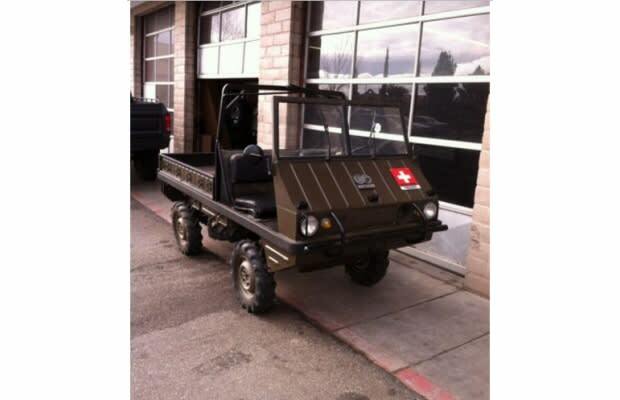 Why not try a Swiss Army vehicle to go with your Swiss Army knife? This isn&apos;t the Pinzgauer, although the same company went on to build the Pinzgauer in later years. This, instead, is the Pinzgauer&apos;s smaller, nimbler brother. It&apos;s a tiny all-terrain vehicle that is useful even today. Some enthusiasts use them for everyday farm work. If that&apos;s your thing, maybe this is your auction.